Arguments are tricky. We spend a lot of our time trying to persuade others. We think that if we show them the facts that we have they will, logically, reach the same conclusions we did. Unfortunately that’s not how it works. When is the last time someone changed your mind this way? Sometimes we don’t want to argue. We’d rather avoid. This doesn’t make the problem go away. In fact the suppressed resentment that builds up can poison a relationship. In his book, How to Argue, Jonathan Herring outlines positive ways of understanding and looking at arguments. They needn’t be about shouting or imposing your will on someone. A good argument shouldn’t involve screaming, squabbling or fistfights, even though too often it does. Shouting matches are rarely beneficial to anyone. 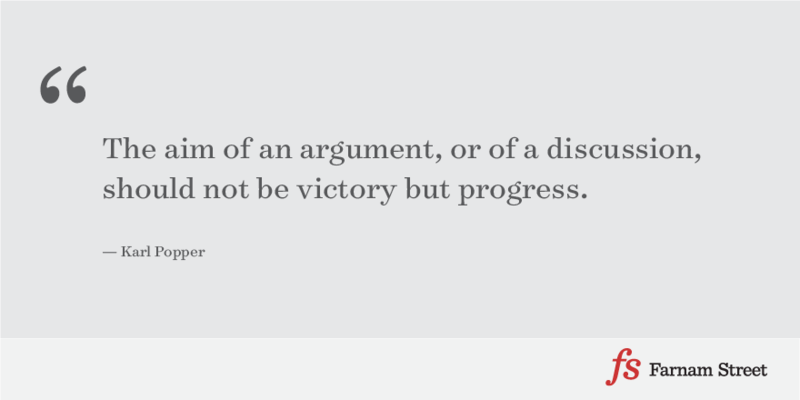 We should treat the ability to argue as a skill that needs to be practiced and developed. Arguments, and for that matter discussions, should be about seeing things through the other person’s eyes. They should lead to a better understanding of another person’s view. With that in mind, here are what Herring presents the ten golden rules of argument. Make sure you know the essential points you want to make. Research the facts you need to convince your opponent. Think carefully before you start to argue: is this the time; is this the place? Spend time thinking about how to present your argument. Body language, choice of words and manner of speaking all affect how your argument will come across. One clever thing to do here, that shows you’ve done the work, is to address the arguments against your position before they arise. Listen carefully to what the other person is saying. Watch their body language, listen for the meaning behind their words. As a general rule, Herring writes, “you should spend more time listening than talking. Aim for listening for 75 percent of the conversation and giving your own arguments 25 percent.” And listening doesn’t mean that you’re thinking about what you’re going to say next. This is often where a lot of arguments, and discussions for that matter, veer off course. If you’re not listening to the other person and addressing their statements, you’ll just keep making your same points over and over. The other person won’t agree with those and the argument quickly becomes frustrating. Think carefully about what arguments the other person will listen to. What are their preconceptions? Which kinds of arguments do they find convincing. Arguments are not always as good as they first appear. Be wary of your opponent’s use of statistics. Keep alert for distraction techniques such as personal attacks and red herrings. Look out for concealed questions and false choices. Keep it simple and clear. Be brief and don’t rush. Always choose clarity over pomposity. Be short, sharp, and to the point, using language that is easily understood. Be creative in finding ways out of an argument that’s going nowhere. Is it time to look at the issue from another angle? Are there ways of putting pressure on so that the other person has to agree with you? Is a compromise possible? This is absolutely key. What do you want from this argument? Humiliating, embarrassing or aggravating your opponent might make you feel good at the time, but you might have many lonely days to rue your mistake. Find a result that works for both of you. You need to move forward. Then you will be able to argue another day. Another approach to end arguments is to simply ask the other person to explain their thinking. How to Argue goes on to explore putting the rules into practice in particular situations where arguments arise.